Killed these two whitetail does about 30 minutes apart during the morning hunt. 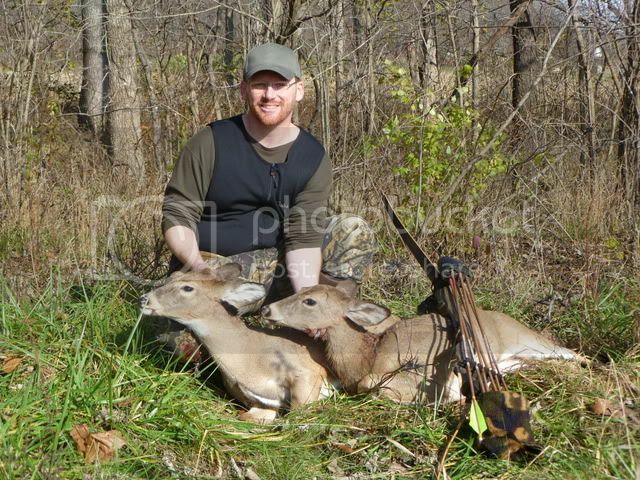 This is my first archery double. That evening while on stand I thought "wouldn't 11/11/11 really be a day to remember if I could end the day with a big buck". That part of the day did not go as planned, but it was still a very special day. Very nice! Way to go! Now that is awesome. Good Job. Nice job on the double. Gotta love the Bob Lee. I love mine.